Steve McLeod is a certified Independent Personal Trainer that has been in the industry for over 20 years. Over the years, Steve has acquired certifications from several associations including the American Council on Exercise (ACE), ACT, and the American Red Cross. Steve McLeod believes exercise and fitness improves one’s lifestyle from a physical, mental and emotional standpoint. 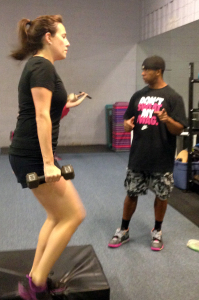 His professional guidance and support, alongside his individualized programs help you attain your goals. Whether, your goal is weight loss, strength gain, flexibility, injury prevention, etc. Steve will encourage you to strive for the best you, through a safe, educated, and fun environment.